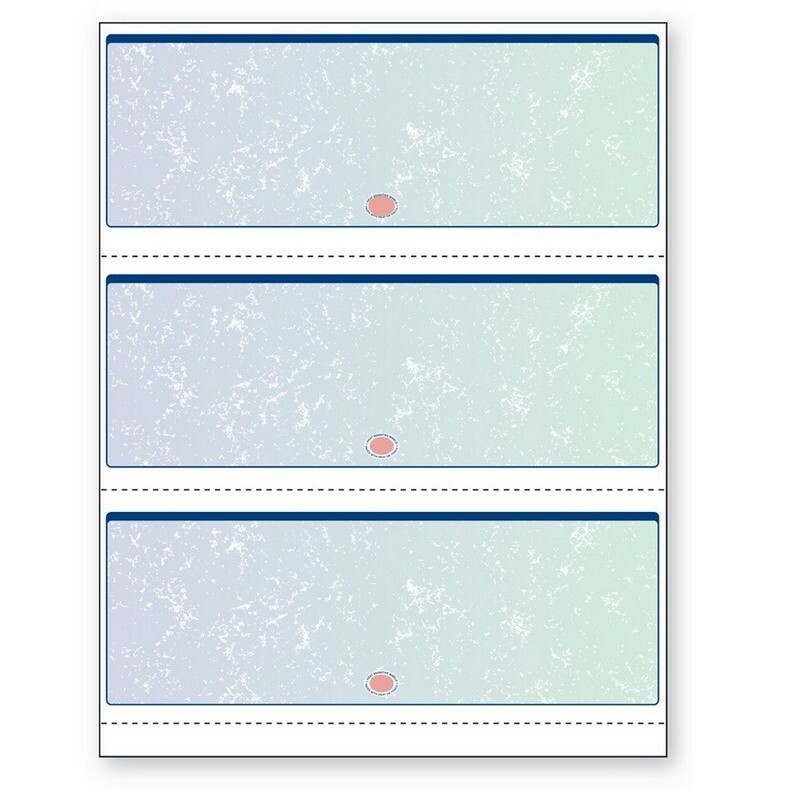 8-1/2'' x 11" Premier Blue/Green Prismatic Laser Check, 3 Checks per Page, 24# Stock (Carton of 2500). DocuGard utilizes security features recommended by the National Check Fraud Center to keep you protected. DocuGard business security checks are "Check 21" compliant and provide highly secure documents at an outstanding value. Compatible with most accounting and money management software packages, including Quicken, QuickBooks, PeachTree, and Microsoft Money. Checks are blank and information will need to be added via MICR printer. 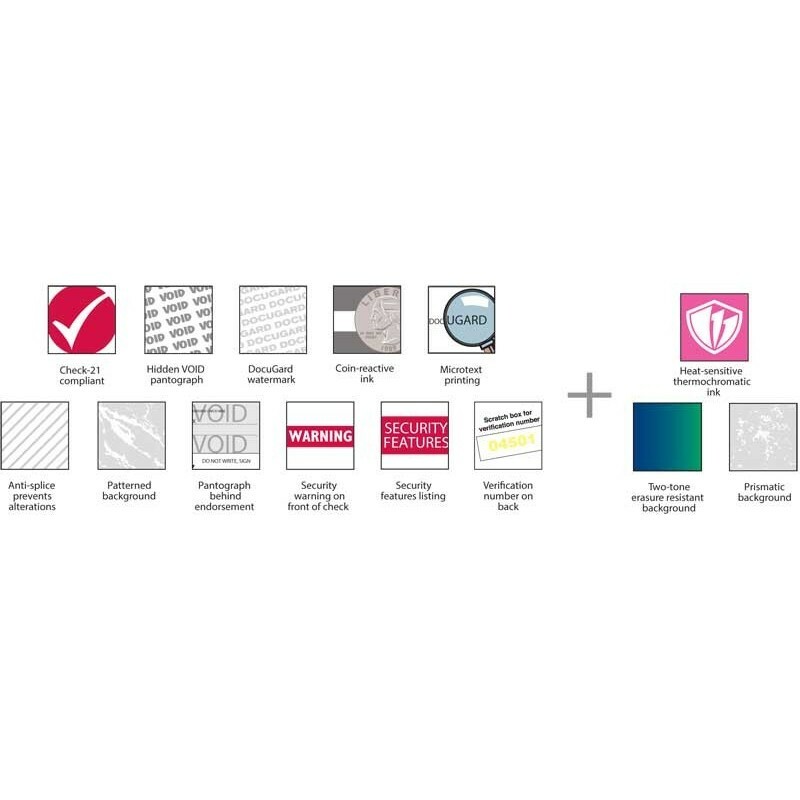 DocuGard security features include all standard marble check security features: a VOID pantograph, erasure-resistant ink, security warning, microtext lines, coin-reactive watermarks, anti-splice backer, endorsement area VOID, verification number, a complete listing of security features; plus a Prismatic two-tone ink patterns and a heat-sensitive thermochromatic red shield on the face of the check. This continuous paper comes 5 reams per carton. Please fill out the form below to request special volume pricing on the product BF-04539.